I’ve decided to write this article to answer the question, what is the best beginners metal detector? 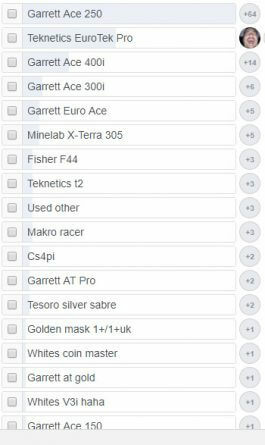 I truly believe when starting out in the hobby the choices you make surrounding your first metal detector are very important, they can also be very overwhelming. Your first step is to learn a little more about how a metal detector works, what certain features do and what some of the tech & terminology means. You can find out all of this information in the beginner’s guide to metal detecting. In a most of the best beginner metal detector articles that you will find on Google, you will find codswallop, utter BS. Just a collection of randomly chosen metal detectors thrown together by someone who’s probably never even held a metal detector in his life. In this guide, you will only find highly recommended beginners metal detectors that actually work and that you will be happy with. I’ve seen articles recommending detectors that are absolute rubbish, ones that will either end up in the bin or you will have to return. People, of course, have different opinions because they can only vote for what they know, so it almost becomes a popularity contest. It is the clearest indication you will get though on good beginners metal detectors. You will also need to consider the purpose of your metal detector. Are you going to be searching fields & pasture more, or is your main intention to go to beach detecting? This is important because some machines do not perform well on wet sand at all. I have included that information below and added some beginners metal detectors for beaches into the mix as well. So let’s talk about the metal detectors as voted for by real detectorists, and remember the most voted for doesn’t necessarily mean the best it means the most popular. I will add my input at the end of what beginners metal detector I believe is best. Here are the best metal detectors to buy for a beginner as voted for by REAL detectorists, in the UK. The Garrett ACE 250 has more than enough features for the beginner detectorist. Full range notch discrimination which allows you to notch out parts of the discrimination bars effectively ignoring types of metal like iron. Pinpoint feature which allows the user to get a better understanding of where the target is located in the hole. Switch on & go technology, keeping it simple you can pretty much power the machine on select a mode and start to detect. 8 Sensitivity levels which allow you to increase or decrease the sensitivity of the machine. 5 Preset detecting modes, All metal, Jewellery, Relics, Coins and custom mode. The custom mode allows you to set the detector however you want it notching out any of the discrimination bars and adjusting the sensitivity. LCD screen which displays the Target ID graphic, Depth indicator, Battery level meter, the mode you have selected and the sensitivity level. Headphone input socket, but also features an internal speaker for use without headphones. Length – 42″ – 51″ adjustable height. 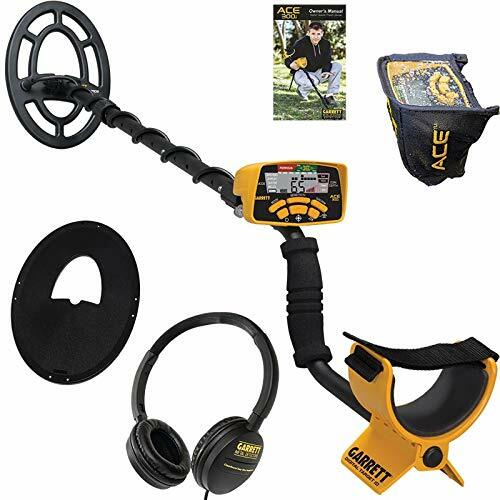 The Garrett ACE 250 is the best selling metal detector, in the world, ever! I’m not 100% sure what makes it the best selling and the most popular metal detector, perhaps it’s the simplicity for a beginner, it takes all of a few minutes to understand how to use and operate the Garrett Ace 250 and you’re set to go. The tones are very clear and easy to understand and after just a few outings you will be able to determine the difference between good and bad signal tones. Garrett as a brand has a very good reputation, they produce reliable and good quality machines. It got the most amount of votes as a beginner metal detector in the poll I ran on Facebook and has over 200 positive reviews left on Amazon. I’ve had a few goes with the machine and although not my favourite beginners metal detector I’m sure you won’t be disappointed if you start out with the Ace 250. 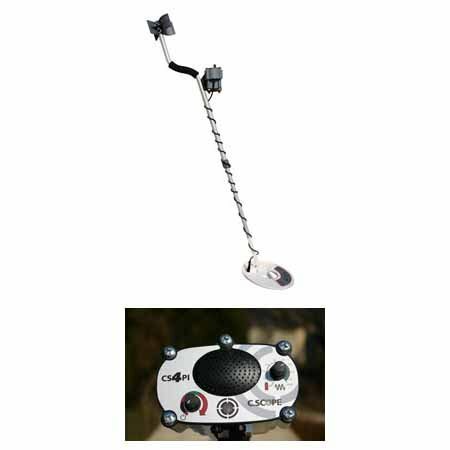 It is a good metal detector for a beginner, and won’t break the bank. If you’re looking for a beach metal detector the 250 is not the right model for you. It struggles on the wet sand with false signals. The Teknetics EuroTek Pro is absolutely crammed with features, but don’t let that scare you it’s all very simple to use and you’ll have it mastered in no time. Variable Breakpoint tech which is the industries first variable breakpoint tone discrimination system. FEtone, which is adjustable iron audio this will allow you to change the volume of iron targets separately from non-ferrous targets. Effectively giving you a more in-depth audio response and indication. Superior Iron Discrimination with incredibly fast recovery speed, the machine will excel in the separation of ferrous targets from non-ferrous even when the targets are next to each other. Iron Identifier LED which lights up on the LCD screen when you detect iron, even when you have iron discriminated the LED lights up. Pinpoint mode which allows the user to more accurately pinpoint where the target is located in the hole/ground. Adjustable Volume control from 1 – 20. 3 Tone Audio Identification giving three clear separate tones to ID the target. 8 sensitivity levels allowing you to increase or decrease sensitivity. Length – 95 cm – 128 cm adjustable height. As far as beginners metal detectors go, and regardless of what the Facebook poll said this is my number 1 recommendation for a beginner. For many reasons. The Teknetics EuroTek pro has a crazy amount of features for the price. Performance wise it’s a fantastic machine that easily outperforms most of the beginner range of metal detectors. It’s lightweight, very simple to operate, has a great recovery speed and works fantastically in all ground conditions. The one thing I would say is the standard stock coil is not the greatest, so look out for one that comes with a DD coil it makes the world of difference. This may cost you a little extra but if your budget stretches it really does make the Teknetics EuroTek perform so much better. The Garrett ACE 400i has 4 preset search modes and custom mode. Zero discrimination (the new all metal mode) Jewellery, Relic & Coins. The custom mode allows you to notch out discrimination patterns and set the 400i up to your own settings, it then saves them for use later. Pinpoint mode allowing the user to pinpoint the target in the hole giving a more accurate location. New Iron Audio feature which allows the user to hear discriminated iron targets and can alter the mid-tone signal range. Digital target ID, giving a numeric response when receiving a target signal. The ID numbers will give you a more clear indication of what kind of metal and target you have found. Adjustable sensitivity settings up to 8 levels. This allows deeper searching in good grounds or in areas of high mineralisation if lowered will allow you to stabilise the detector. Depth-enhanced Iron Resolution which Garrett claims gives three times the amount of iron resolution in comparison to the ACE 250. Camlock support on the shaft. Depth & battery indication on the LCD screen. Adjustable frequency to help with the elimination of interference. Length – 40″ to 53″ adjustable height. The Garrett ACE 400i is the top model in the new line of Garretts ACE machines the up to date answer to the Garrett Euroace. A very popular choice for a beginners metal detector. A reliable, robust and very straightforward machine that’s not going to take you an age to learn. In usual Garrett Ace fashion, they have kept everything simple. Although simple the Garrett ACE 400i is a very capable machine, it offers advanced features implemented in a way a beginner can use them without being overwhelmed. I would class it as a mid-range machine but one that has been designed and executed in such a way that a beginner with a slightly larger budget can enjoy. The best thing about Garrett machines, in my opinion, is how popular they are, this means that there is a large network of users that you can go to for help for things like best settings. They also offer a massive range of upgraded coils. Garrett is always going to be a brand you can trust. I’ve not had much time on the ACE 400i just a little play around with it really but I did find it a good metal detector with more than enough features and power. I’m unsure of how good it is on the beach but I presume with it being the top model of the ACE range it is more stable than its predecessors. I believe if you make the purchase you will be more than satisfied with the Garrett ACE 400i as your first machine. The Garrett ACE 300i features a digital target ID number on the LCD screen of 0 – 99. This allows the user to receive more information about what they have found in the ground via a number. It runs at a slightly higher frequency compared to the 250, 8kH, effectively providing better performance on low and medium conductivity targets like gold and lead. Camlocks on the shaft to increase the stability and sturdiness. Pinpointing mode which allows the user to accurately locate the target in the hole. Notch discrimination patterns, which allow you to notch out or accept specific discrimination patterns. Four preset search modes Zero discrimination (all metal) Jewellery, Relics & Coins. Custom Search mode which allows the user to change the settings, sensitivity and discrimination patterns to their preference and then save for later use. Length – 40″ – 53″ adjustable height. I can’t really say too much about the Garrett ACE 300i as I have just written previously above about the 400i. On the Garrett ACE 300i you get a smaller 7 x 10″ concentric coil, which effectively doesn’t perform as deep to its big brother the 400i. There is no iron audio on the ACE 300i which can make it harder to determine the difference between good and bad targets. No impossible though it just takes more getting used to. If your budget won’t allow you to stretch to the price of the Garrett Ace 400i then the ACE 300i is sufficient for a beginner. I would recommend looking for a used Garrett ACE 300i that already has a coil upgrade. A good beginners metal detector with everything you need to find stuff! Not the best again for beach metal detecting if that’s what you have in mind. 4 preset search modes to allow you to switch on choose a mode and go. Zero (all metal) Jewellery mode, relic mode & Coins mode. Custom search mode allows the user to notch out levels on the notch discrimination bars, change sensitivity etc and then save the mode for later use. LCD screen with non-ferrous to ferrous display readings, depth indicator of up to 20cm, battery level, sensitivity level and discrimination notches. You can fine-tune the iron discrimination which also separates the Euroace metal detector from it’s predecessors. Pinpoint mode which allows you to locate the item in the hole with more accuracy. The Garrett Euroace features a large 28 x 22 cm PROformance Double-D searchcoil. Garrett easy-stow headphones are also included. Length – 42″ to 51″ adjustable height. The Garrett Euroace was my first ever machine as a beginner. I still have it now as a backup metal detector. Very very straightforward and simple to use. You’ll have it worked out on your first outing, the only thing that will take a little bit of time is getting used to the tones, once you have got used to it you get a better understanding of the target from the tones alone and you’ll stop digging as much trash. I’m slightly biased as I have owned and used the Garrett Euroace, it’s found me countless silver and bronze coins from all ages and the same in relics. There are many coil upgrades for the Garrett Euroace like the Nel tornado that can add significant depth capabilities. If you can’t afford the Garrett ACE 400i the latest ACE model release which was supposed to replace the Euroace then the Euroace is a great alternative. It’s gained a lot of credibility over the years in the beginners metal detector range and is also sometimes considered a mid-range machine because of its power. The only thing I can say negative about the Euroace is that the tones can get a bit tedious, the same as the 150 and 250. They give off a loud bell-like tone, on a good target sometimes referred to as the “double dinger” but if you haven’t used other detectors then this shouldn’t be a problem. Good job it comes with headphones because the loud internal speaker can’t be turned down, there’s no volume control. The headphones, however, do have volume control. It’s got many positive reviews on Amazon, over 100 5 star reviews. So you can take that as a very clear indication that this machine is loved by beginners. If you can’t afford the new 300i or the 400i I would highly recommend this machine for a beginner. You’re sure to be pleased with your purchase. It’s not an all singing all dancing machine. It does what it says, it finds and there is no faffing about setting up. Switch on and go! The Minelab X-Terra 305 features a technology called VFLEX, this effectively changes the frequency of the metal detector by changing the coils. Allowing you to change the purpose and performance of the machine. For example, adding depth or searching for smaller targets. Auto and manual ground balance adjustment, perfect for fine tuning to the mineralisation of the ground you are searching on. 2 Preset modes which can also be completely customised. It also has an all-metal mode. Threshold adjustment from -5 to 25 this will allow the user to change the threshold settings for noticing very large deep targets or small and shallow. Noise cancellation with three manual settings letting you pick the quietest channel with the least interference. Pinpoint mode with a graphical indicator. Graphic depth indication which even works in pinpoint mode. 9″ Concentric lightweight, waterproof 7.5kHz stock coil. Length – 48″ – 56″ adjustable height. I have never had my hands on a Minelab X-Terra 305, I have owned the Minelab X-Terra 705 which is the big brother of the X-Terra range so I know a little. I personally think for a beginner this metal detector is probably a little complex. If you have time and patience then it’s a very capable machine, if your budget allows though go for the 705. 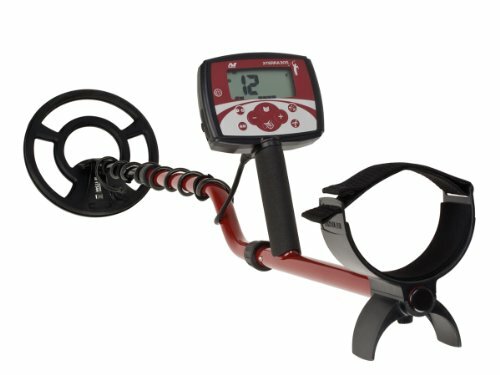 Considering Minelab had the beginner in mind when they designed and created the metal detector I do believe they overcomplicated it. So if its simple you’re looking for then this isn’t for you. I’m not by no means saying that its difficult to learn but I will say you will need time and patience. The X-Terra range really does excel in iron discrimination so if you really want something that cuts back on the junk then they are a good choice of metal detectors, but as I said if you can invest the money in a used 705 it’s pretty much the same layout but far more powerful. The Fisher F44 is weatherproof which is a fantastic addition when you’re from the UK, as the weather is just so unpredictable. Don’t be mistaken for waterproof. However, when it rains there is no need to panic. Manual ground balance allowing you to fine-tune the machine according to the ground conditions adding stability and increasing performance. Ground Grab computerised ground balancing which auto tracks and adjusts the detector to the ground conditions as you are moving. 9 Segment numerical and visual Identification on the LCD screen. 4 preset search modes, all-metal, jewellery, coins, artefacts and one custom mode. The custom mode automatically saves the last custom settings even when switched off. As stock, the Fisher F44 comes with an 11″ concentric elliptical search coil. Pinpoint mode allowing you to accurately locate the target in the hole. FETone adjustable iron audio and iron identifier icon on the screen. Length – 40″ – 52″ adjustable height. 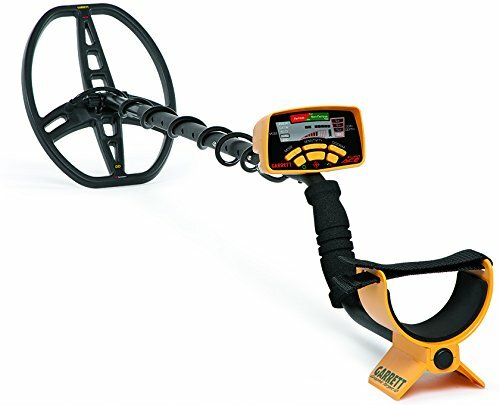 Although this was voted as one of the best beginner metal detectors I do believe its more of a midrange detector and would perhaps be more suitable as an upgrade, that being said if you’ve got the budget and patience to learn its well worth the investment. Fisher is just one of the companies ran by Fisher Labs and they have an excellent reputation in the metal detecting hobby world. I haven’t personally used the Fisher F44 but I do know a few people personally who have and they all swear by theirs. It doesn’t take too long to understand the F44 but it is more difficult to learn than Garrett ACE models. The Fisher F44 is weatherproof which is a godsend when you’re detecting in the UK, this doesn’t mean its waterproof though. Only the coil is fully submersible the rest is just weatherproof and will be fine in light rain. If you took the leap and purchased the F44 you won’t feel the need to upgrade anytime soon, you would be very happy with it as a seasoned detectorist. It also has a huge 5-year warranty. 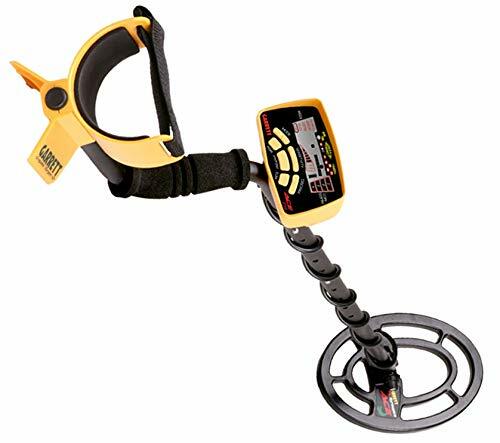 A very reliable, powerful metal detector that will please both beginners and seasoned detectorists. Some people will want to start metal detecting with the sole purpose of metal detecting at the beach. Some machines that I have previously mentioned just won’t be any good for beach detecting especially in the wet sand. So that being said, what is the best beginners beach metal detector? 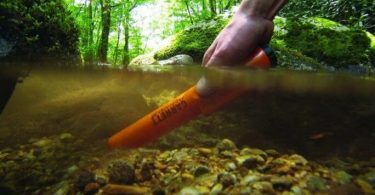 The CS4PI is a pulse induction metal detector which is finely tuned for beaches and sites with difficult ground conditions. It comes standard with a 9.8″ 25cm POLO search coil. Weatherproof for hunting in all weather conditions. This does not mean the detector is waterproof. Switch on and go technology allowing you to jump straight into metal detecting on the beach without messing around with settings to make the machine stable. Belt mountable control box to help distribute the weight of the detector allowing you to detect for longer without excessive fatigue. Length – 42″ adjustable height. Warranty Length – 5 years parts cover, 2 years parts and labour. If you are looking to just metal detect at the beach then the CSCOPE CS4PI is the PERFECT beginners beach metal detector. Many of the beginners metal detectors that I have written about can be used on the beach but will struggle with the wet sand. The CS4PI has been specially designed and developed to excel on the beach even in wet sand. The only negative thing I can say about this machine is it’s no good for land other than the beach. There is no discrimination feature. However, it won’t take you a few hours to get used to the difference in tone sounds so you will know what to dig and what not to dig. If you’re a beginner and you only want to metal detect at the beach then there simply is no other machine I could recommend. Everyone who I have spoken to about beach detecting has assured me this is the only machine you should consider. No false signals, and performs fantastically. It simply can’t be beaten. Many reports of how deep it goes in wet sand as well, some say as deep as 18 inches in the wet sand. A true beach beast! OK, so there you have it, the best beginners metal detectors as voted for by real people and detectorists who know the machine and are happy with how it served them as a beginner. I personally have nothing against Garrett Machines, I believe they are excellent value for money and they perform very well, I myself have owned Garrett metal detectors. They do have the monopoly because of the brand name, so people tend to opt for these machines because they hear them mentioned more than others. 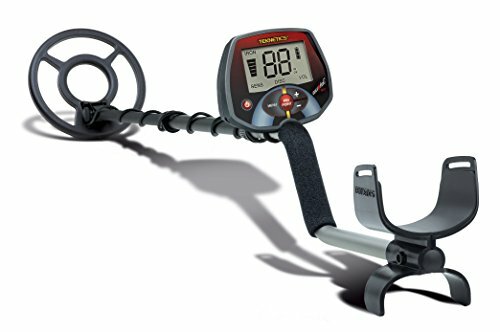 Do I believe though that the Garrett ACE 250 is the best beginners metal detector in 2018? Sadly I don’t, It may well have been once upon a time, however tech changes I would say that it is the most “popular” choice. Although it does have a great support network, it’s very simple to use and it does work! It’s just not the best for all-round detecting. It’s a little old school now. Any of these beginners metal detectors will work for you. They will find, they will perform with stability and are all of very good quality. I do hope though that this beginners metal detectors article has been of some use to you and perhaps helped you make the decision. 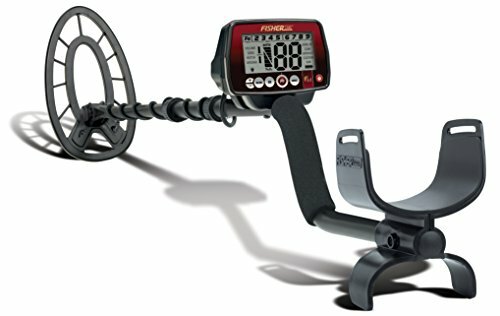 Would you like to recommend a metal detector for a beginner? Leave a comment below and we will consider it for the list. 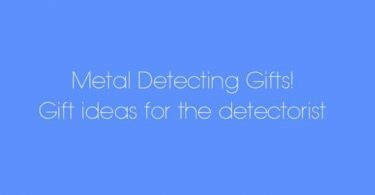 Metal Detecting Gifts Ideas – What To Buy A Metal Detector Enthusiast? It’s crazy that the Cscope CS4PI doesn’t have discrimination or pinpoint. Some fishermen are awful human beings who leave their hooks everywhere (how many kids have got one stuck in their foot), so not to be able to discriminate those as well as bottle tops and pull rings makes this the most hateful detector invented for a beach in my opinion. Hi Paul an interesting take, I get where you are coming from. Many would disagree though, with the CS4PI being ultimately designed for performance on the beach the most appealing factor is that it doesn’t false in the wet sand and is very stable. I agree though it would have been nice to have a discrimination feature and who knows perhaps in their next model they may well include it. I’d sacrifice the discrimination for the stability though, once you get used to the sounds it’s making you shouldn’t really need the discriminate feature as you should be able to determine the difference in ferrous and non ferrous tones. Thanks for the input though and yes them fishermen can be rather unthoughtful as a rule. Have to agree about the Eurotec pro it is far better than the Ace 250, and i actually prefer it to my AT Pro, excellent article. Hi, had my CS4pi for a month now and love it! Yes it picks up everything,but it isn’t hard work and I’m 67! Very easy to use and get on with. Have a whole bag full of tent pegs,nails etc,but also £30 in cash and nice 18ct gold ring.As for the fish hooks,wear gloves,be mad not to. If all expect from this machine are gold nuggets and diamonds,unlucky! Everybody wants things now?